The Duchess of Sussex attended the event with her husband Prince Harry as well as the Queen for the traditional carriage procession, which marked the start of the five-day racing spectacle in Berkshire. She was spotted sharing a carriage with Prince Edward and the Countess of Wessex when she made her first-ever appearance at Ascot this morning. 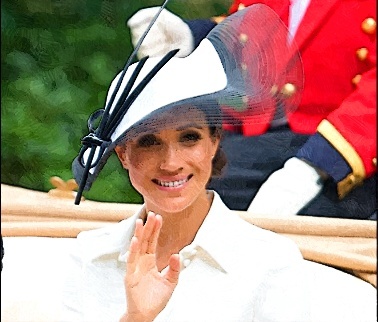 The 36-year-old duchess chose a dress from her favorite designer, Givenchy and she paired her outfit with a matching fascinator by Philip Treacy. She was spotted leaving the event with Prince Harry in a car. Meanwhile, the royal newlywed will later present a trophy to the winner of the St James’s Palace Stakes.